Enliven your garden with a bird bath. Listen to the delightful chatter of the birds as they drink lustily from your bird bath fountain. From the American Robin to the Humming bird, Canadian goose to migratory birds, a bird bath is sure to attract the winged creatures. What is a solar bird bath? How can you install and maintain a bird bath? How does a heated bird bath work? Birds need water for drinking and bathing. About 70% of a bird is non-fat body tissue which is primarily water. Bird needs water to avoid dehydration. There is paucity of water for the birds during dry hot summers and cold frosty winters. 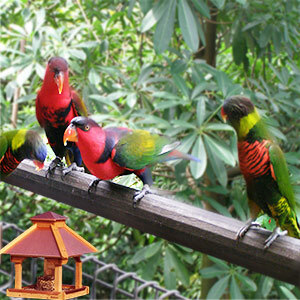 Bird bath is the easiest and excellent way to bring birds to your garden or yard. This is primarily because water attracts more birds than a bird feeder. Bird baths are made up of several materials. They include cast stone, metal, ceramic, cement, terracotta, copper, aluminum, durable resin, glass, plastic and even mosaic tile. Traditional bird baths are graceful additions and decorative pieces that can find place in a safe nook of your garden. You can find bird baths that can be mounted on decks and windowsills. Size: The size of the bird bath determines the size of the birds coming to use it as well as the number of birds that can comfortably splash in at a given point of time. The bird bath should be about 4 feet in diameter. The depth of the bird bath should not be more than 3- 4 inches. The depth of the basin is an important factor because a shallow bird bath deters large migratory birds while a deep bird bath excludes smaller birds. Birds are highly sensitive and they feel totally uncomfortable if they find water unto their mid section as they fear drowning. A wider bath attracts more birds. Texture: A shiny, slick interior bird bath may look attractive to the human eye. But it does not serve the purpose as far as the bird is concerned. It becomes difficult for the bird to keep its foot on such slippery surfaces and such bird baths deter birds. Birds prefer rough texture. Sand paper can be used to create rough texture. If the bird bath is deep, then pebbles and small stones can fill the bottom to make the bath more accessible. Height: Bird bath should be fixed at a height safe from predators such as dogs, raccoons, deer and large animals. The bird bath should be elevated enough so that it is safe from thirsty mammals that will drink and pollute the water. Normally bird baths are placed on top of a pedestal. They can also be suspended from trees or eaves of a house. Material that is weather resistant. Material that can hold water. Material that does not blow over or break during big storms and strong winds. Material that does not deteriorate and leach unwanted minerals into the water. It would be ideal to place bird baths in plain view of the window so that you can perch yourself at a window seat to watch the birds play or listen to their song. Clean water is the essence of a bird bath. Therefore it is pragmatic to erect bird baths within easy reach of a water hose. Otherwise, regular cleaning regimen is likely to be put off. Clean the bird bath regularly and change the water everyday. Do not use chemicals for cleaning a bird bath. Do not place bird bath within a bird house. This is because birds are unlikely to rest where there is a lot of commotion and noise. Bird bath basin should be firmly and securely fitted on top of a pedestal. Bird bath has to weather storms and strong winds. Birds must experience comfort and security when they perch on a bird bath. Birds will use baths only if they feel safe. Bird bath should be away from bushes which is common hiding place for predators. Ensure that the bird bath is safe from house cats. A thick layer of thorny vegetation can be placed beneath the bushes to deter cats. It would be best for bird bath to be placed in a location where the birds can see the area around and have clear visibility. Trees nearby can provide a cover if the bird is alarmed. Birds also perch on nearby vegetation when preening. Homemade bird baths can range from a simple shallow basin filled with water to a more complex carefully sculpted clay masterpiece. Bird baths are manufactured and sold in general retail stores and birding specialty stores. Most manufactured bird bath can be 'heated' or 'non-heated'. 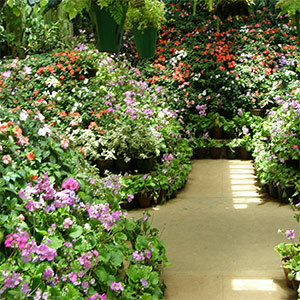 They are available with or without pedestal. Home made bird baths cost less and can be custom-made. Even a shallow plate or pie tin can be converted into a bird bath. Ensure that the bird bath is without cracks or stains. Moving water attracts birds as the birds can hear the water moving from a distance. Homemade bird bath can be provided with a constant dripper. A small fountain hose, empty milk jug with holes on top and bottom can be converted into a dripper. Bird baths powered with photo voltaic (solar cells) are getting popular these days. Solar panels collect energy from sunlight as they operate under direct sunlight. This way there is no energy cost. Sometimes there is an option of placing small battery packs in the panels. This means that the solar bird bath works even on clouded days and evenings. But solar bird baths are more expensive and prone to electrical defects. The solar panels are hidden under the water, for aesthetic benefits. The pump is also submerged under water all the time to avoid damage. Solar bird bath are normally constructed of durable resin and fiberglass with a weathered stone finish that gives it a realistic appearance. The solar bird bath must be kept free of debris for best performance. It is also recommended to store the solar panels in warm dry place. 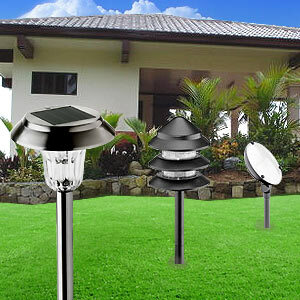 The solar bird bath pump should also be protected from freezing. Solar bird baths are self contained. They require no installation. There is no energy cost as they are powered by direct sunlight. They are aesthetic to look at as they are hand finished and crafted. They are no operating costs involved. 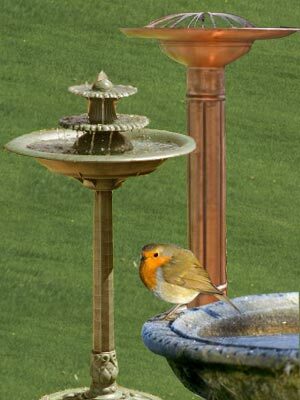 Bird bath fountains come in a variety of shapes and sizes. There are rock fountains, simple submersible fountains, larger stone basin fountains fitted with cherubic lights for night effect, pouring amphora, multilevel fountains in Zen style and fountains with Japanese botanical garden accent. A heated bird bath keeps the water warm enough to keep the water from completely freezing. It is crucial for birds to keep their feathers clean even during winter and cold climes and heated bird baths are especially useful in such times. Heated bird baths are becoming more common and affordable nowadays. If you live in an area that has colder winters, consider going in for a heated bird bath. First Published Date: Jun 10 2006 Last modified Date: April 23 2019 This page may have been updated recently as new information is available or the content may have been edited for better readability.